One reason Christians “settle” in their faith and become inert is a lack of comprehension of the Kingdom of God. We teach creeds, disconnected Bible verses, and what some nationally known preacher thinks, and then we wonder why people have no investment in the story of God’s redemption. But the Kingdom of God is an ongoing narrative in which you and I play a vital role. We are part of that story, and our story within it matters. Even then, we are not the protagonist; Jesus is. Churches fail in their education of the flock when they don’t connect all of the Bible narrative back to Jesus and to His Kingdom. People end up missing the story of glory. They see that story as a jumble of scenes and characters, and the thread of Jesus and His Kingdom, from Genesis to Revelation, goes uncomprehended. 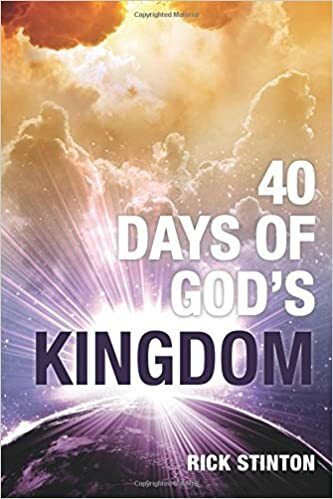 Scot McKnight points out a new book that attempts to rectify our lack of Kingdom teaching in the Western Church: 40 Days of God’s Kingdom. I have not read the book myself, but it looks intriguing. God knows it fills a need! That it comes with a study guide helps even more.